Mark your calendars for Friday June 29 and our 13 hour Matching Pallet Radiothon on 95.9 The River. Donations support Aurora Area Interfaith Food Pantry and Marie Wilkinson Food Pantry. Keeping kids fed during the summer can be difficult. In our service area, nearly 40% of children are eligible for free/reduced price lunch at school. During the summer, these meals disappear and kids are in danger of hunger and malnutrition. 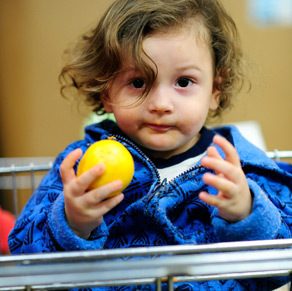 But your donation can help ensure that every child in our community has access to fresh, healthy food all summer long. And don’t forget — every donation made to Matching Pallet will be matched (up to $25,000) by our generous sponsors.